The big running season is over and now the snow is falling. It’s almost time to put the sticks on the feet and slide down a mountain! Fun on top of fun! It might be a good idea to prepare myself as best as I can before I get out there. Here are some thoughts on how I might do that. Maybe they’ll help inform your own ski conditioning strategy. Exercises should look a lot like skiing. 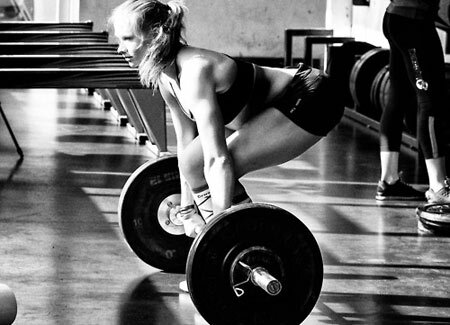 Some sort of squat should probably be employed, but a conventional barbell front or back squat may not be adequate. I discuss more of my thinking on this here and here. Look at those joint angles. 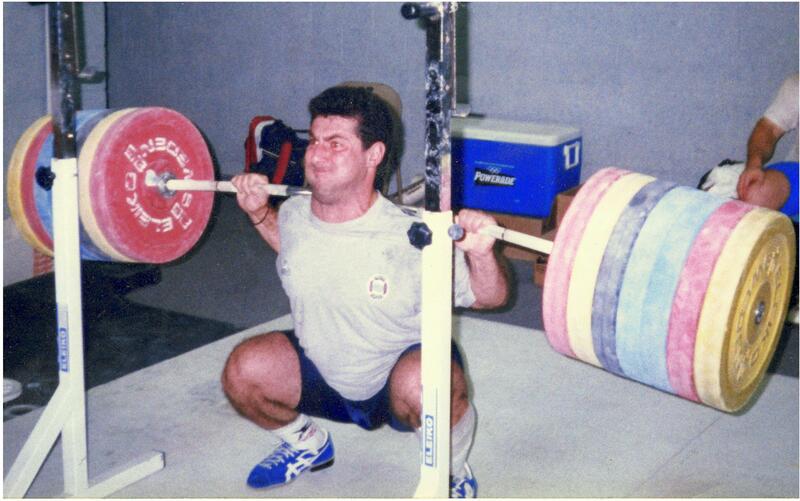 That is no mere squat. My hips will go back and forth between flexion + internal rotation + abduction on the downhill leg then more flexion + relative externall rotation + adduction on the uphill leg. The hip, knee and ankle joints must move well and the corresponding muscles must lengthen and contract repeatedly. In addition to that hip movement, my thoracic spine should stay aimed downhill so I’ll be doing a lot of rotation through the trunk. Like the leg muscles, my trunk muscles must be able to manage the repeated loading that will happen. I need adequate range of motion and control of that range as I move downslope. 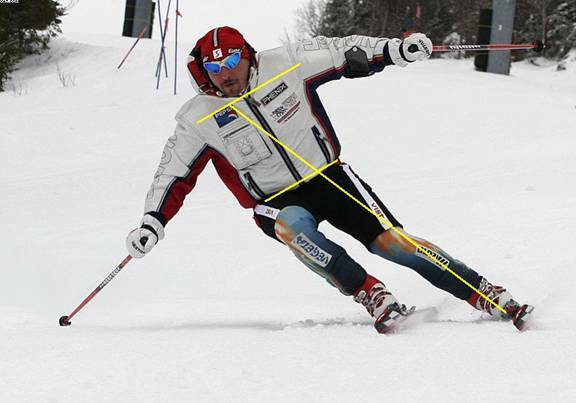 Good movement is massively important to good skiing. Adequate stamina is also a major consideration. I want to be able to last for a while and be able to have fun all day. If I fatigue too soon then it’s likely my movement skills will be compromised and I could get injured. 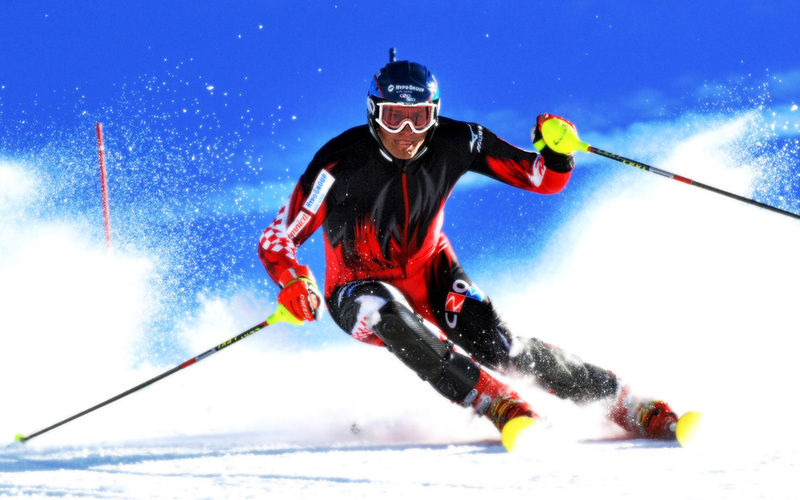 I have a good base of general endurance but I need to make it a bit more specific to skiing. A typical ski run involves powerful turning and management of variable terrain, sometimes for several minutes. Then I rest on the chair lift for several minutes and do it again. This cycle may repeat itself for several hours. Also, alpine skiing involves a lot more knee flexion/extension compared to running. My quads typically bear the brunt of all that knee movement so I’ll need to condition them appropriately. How will I do that? Repeat 3-5 times as fast as possible. There are lots of possibilities out there! Foot/heel/Achilles issues have given me trouble over the years. The same issues are the scourge of many a runner. Plantar Fasciitis, Achilles tendon pain and metatarsalgia are a few of the problems one can experience as a result of faulty foot and lower-leg mechanics. The causes of these injuries are often multi-faceted and thus are the solution(s). It seems that weakness of the foot muscles may be a prominent issue. 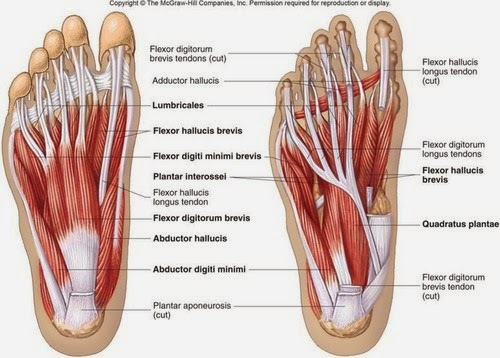 One idea on the mechanism of plantar fasciitis is that the intrinsic foot muscles do a poor job of controlling forces going through the foot. If the stresses of running and walking aren’t distributed adequately then we may overstress the plantar fascia and that may trigger pain. We then need to find a way to unload the stressed tissues. (Please note that this may or may not be what causes plantar fasciitis. There are a lot of questions on how this and other lower-limb pain develops. This study discusses the poor understanding of plantar fasciitis and the difficulty in measuring foot mechanics.) If weak and underperforming foot muscles are part of the problem then how do we bring them back on line? Lots of muscles and joints in those feet. Among many strategies to address foot pain is an exercise known as the short-foot exercise or foot doming. 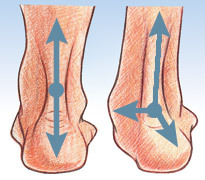 As the name implies, this exercise has you using the intrinsic foot muscles to create a dome by pulling the metatarsal heads (balls of the toes) toward the heel, which shortens the length of the foot. The short-foot or foot dome exercise. More than anything this is a brain exercise. Chances are that when you first try this exercise you won’t do it very well. You’ll struggle, steam may come out of your ears and you’ll get frustrated. Don’t be a baby and give up immediately though. This is a new skill and it takes focused attention and time to develop skills. Keep at it. It likely won’t take you very long to figure it out. For me, the challenge of mastering this exercise is nothing compared to the frustration of being sidelined by foot pain. Also, try the exercise on your non-hurting foot. If you’re like me, you’ll find that it’s easier to do which again may be an indicator that the source of your pain are muscles that aren’t doing their job correctly. You may experience cramping. That’s fine. It means you’re doing the exercise correctly. You can either relax the foot muscles and try again or do what I’ve done and hold the short foot until the cramping passes. It hurts a bit but I’ve found the pain to pass quickly. The muscles involved in this exercise aren’t given to being big and strong. We need them to work a lot for a long time, so we need to condition their endurance. Therefore we need to hold the short foot position for time and we need to do the exercise often throughout the day. The good thing is you need no equipment to do this and you can do it anywhere. You don’t have to take off your shoes either. As you can see, all of these are done prone. You can put your arms on a wall and do them standing. There’s also quite a bit of ab work that happens while doing these so you may need to rest between drills. “Good movement is not just about harmonious interaction or coordination between the different parts of the body. It is most fundamentally about how the system interacts with the environment, particularly in response to unexpected changes. In other words, good movement implies a quality of adaptability and responsiveness to a changing environment. One can imagine building a humanoid robot that can walk with flawless symmetry and grace. But if the robot cannot adapt its gait pattern to accommodate changes in the terrain, it will fall each time it steps on a rock, and its movement skill is essentially useless. True movement intelligence therefore doesn’t exist so much in the movements themselves, but in their interaction with the environment. The graceful stride of the deer isn’t useful unless it can be modulated to jump a log and avoid a wolf. A soccer player who can execute technically brilliant ball handling skills in solo practice does not face the real test until she performs those moves in a game situation against an opponent who is trying to steal the ball. Why do I mention movement variability? My last blog post was about hip mobility and in it were several different hip mobility drills. 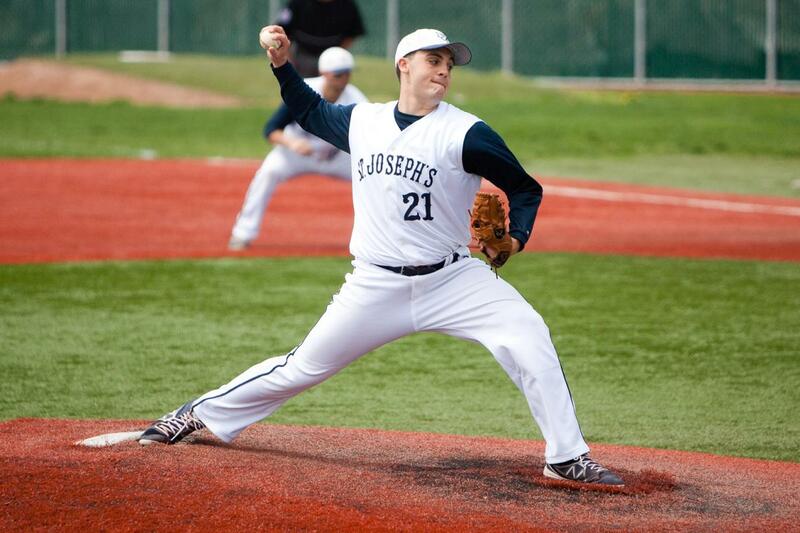 This post is also about hip mobility and it features a bunch of different drills. Which ones are best? Who knows? With regard to movement variability, I think it’s probably a good idea to do a lot of different mobility drills and frequently experience novel movement. Recently I discovered GMB.io. (Yes you read that right.) I’m not sure what GMB stands for but I have enjoyed looking through their content which is very much mobility-centric. Their 8-exercise hip mobility sequence (below) is great! I’ve been using myself and with my clients. Lately I’ve been alternating between this series and the series in the prior post. I’ve been using the following drills with a lot of my clients as well as with myself. Is this the be-all-end-all collection of hip mobility exercises? Probably not, but I think it hits several nails on the head in terms of movement that’s available to the hips. I think these drills may be especially useful for cyclists and those who are desk-bound. (I’ll be very honest and tell you that I’ve stolen these moves from both Gary Gray and Andreo Spina.) I do them in the order presented but for no other reason than that’s how I do it. You could do any of these in any order. I use these with most of my clients a lot of the time. I personally use them after a bike ride or long trips in the car or on a plane. My Achilles pain was getting better and then it flared up again recently and it has stayed flared for a while. This has been an ugly aggravation as it was a serious regression. Now, I’m very happy to report that my Achilles tendon irritation seems to be fading away. I’ve done three short-distance run/walks with no pain. (Will it stay gone is the real question.) What has helped? Initially I thought that simply changing the way I ran would allow me to side-step whatever healing process that needed to take place. I revisited several technique changes that helped me overcome a past bout of Achilles pain. I discovered that there was no magic fix. Minding my technique is a good idea but it seems my tissues still needed time to heal. I put a 1/4 inch heel lift in my shoe. The idea is to give a little bit of slack to the sore tendon. To this point, I made sure not to do much in the way of stretching the tendon. It’s often a mistake to think that if it’s sore, it must need stretching. 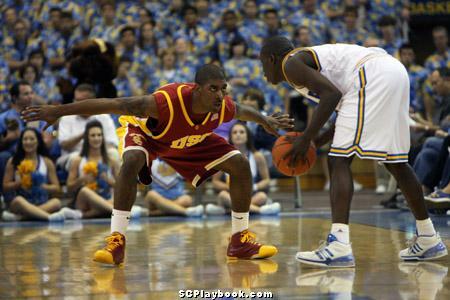 In fact, the damage to the Achilles may have been brought on by it’s being stretched too much and/or too fast. I’m continuing the work I wrote about in the last blog post. Runner’sConnect.net has a comprehensive guide to both Achilles pain rehab and prevention strategies. I won’t rehash it here. I think this has been a BIG ONE. I believe that part of my problem stems from my inability to adequately anchor to the ground the distal end of my first metatarsal, aka the ball of my big toe. How might that affect my Achilles tendon? Too much of this may over-stress the Achilles and cause pain. How did I know I had difficulty getting that met head to the ground? I’ve been videoed running and I could see this extended pronation occurring. I could feel it as I tried doing the exercise in the following video. This gets into what seems like some real minutiae. For me, it seems pretty important. Also, I don’t believe this movement is trained in the eccentric strength protocol I mentioned above. I’ve read several discussions (here, here, here) on running cadence and loading rate as it pertains to injury risk. Essentially, by using a quicker cadence we should load the tissues of the foot for less time per foot fall thus resulting in less stress to those tissues. That’s exactly something I need. I went back to using a metronome when I run so that I can make sure to keep a quick pace. I set the metronome from 170 to 180 bpm and matched my cadence to the beat. It’s definitely a quicker cadence than what I’m used to. Seems I’ve backslid some on minding my cadence. Going forward, I think it will be a good idea to periodically run with a metronome to ensure that I’m staying quick on my feet. Ever hear anyone exclaim with enthusiasm “Today is feet day! !” right before their workout? I haven’t. No one is very excited about working their feet. I’ll wager most of us don’t ever consider our feet until there’s some sort of pain or problem down there. The thing is, it’s only every single step of every single day that we might need our feet work well for us. As long as we live on a planet with gravity and we don’t want to walk on our hands, then we might want to consider whether or not our feet are doing the job they should be doing. On that note, here’s a fascinating video (I’m fascinated by odd things sometimes.) from Canadian chiropractor Dr. Andreo Spina of Functional Anatomy Seminars (FAS). I’ve been turned on to Spina via Boulder trainer Mike Terborg and Boulder/Denver-area chiropractor Dr. Nick Studholme. I’ve noticed improvement in a long-standing big toe issue by doing some of this work. I’ve also found some of these exercises very challenging as have several of my clients. Some of these drill may seem impossible at first but I and others have found that with a bit of mindful work, we can get these foot muscles to work in a few days to a week. It does take some focused work but maybe just a few minutes a day. 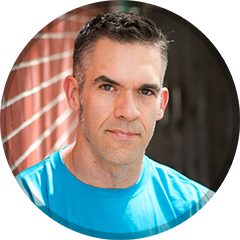 I’ve been discussing movement, exercise and how to make traditional exercises more applicable to real-life and athletic activities. I’ve discussed going from two feet to stepping. From there we can progress to a variety of hops and jumps. We could focus on “sticking” the landing and maintaining perfect balance and control or we might focus on moving very quickly from one hop/jump to the next. We might emphasize a very long or very high jump/hop or we might emphasize short and fast hops/jumps. Here are some videos featuring tri-plane jumping and hopping with all sorts of arm driver activity. These are in no particular order and I’m not showing a progression. These are just a few combinations. There is a nearly endless galaxy of these types of exercises. Any number of implements can be used (Core Momentum Trainer, dumbbells, sandbags, kettlebells, nothing at all). Trainees can either stay stationary or move in any direction. I’m in the advanced stages of ACL rehabilitation and I’m using a lot of these types of exercises in my own workouts. I’m using them with a lot of my clients who are athletes as well as clients who don’t consider themselves athletes. These exercises can be a lot of fun, feel very challenging and are useful in stimulating the metabolism for those wanting to lose weight.